Can digital journalism serve readers who can’t get online? 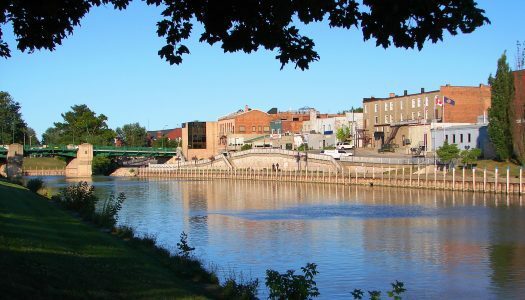 Chatham Daily News announced it would publish a print edition of its paper one less day a week, along with 10 other Postmedia newspapers, on Nov. 6. 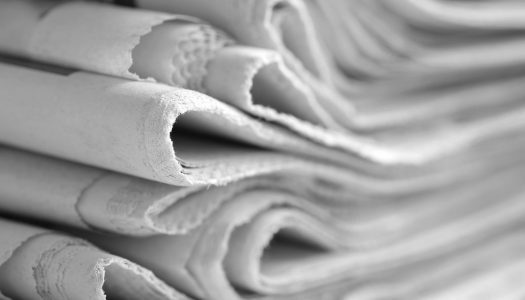 Based in the… Continue Reading Can digital journalism serve readers who can’t get online? 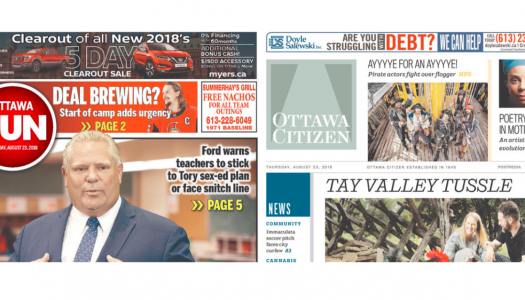 Eleven Postmedia Network Inc. Ontario newspapers will publish printed or digital editions one less day of the week with no reduction in the subscription price. “It’s clear that the company’s threat of a lockout influenced the result:” CWA Canada president. 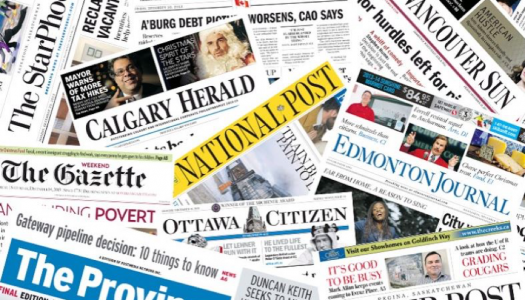 In June, Postmedia announced a restructuring plan that included 10 per cent cut in salary expenses. Company urges workers to ‘move on’ from deal that expired 34 months ago. 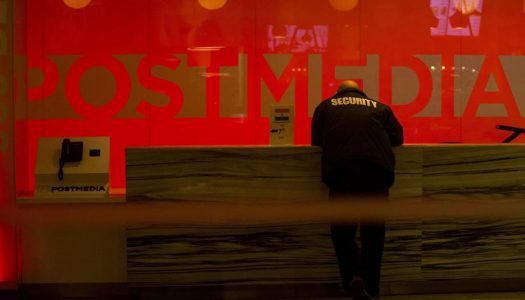 The senior vice president of content and senior vice president of the National Post will leave his post by the end of August. 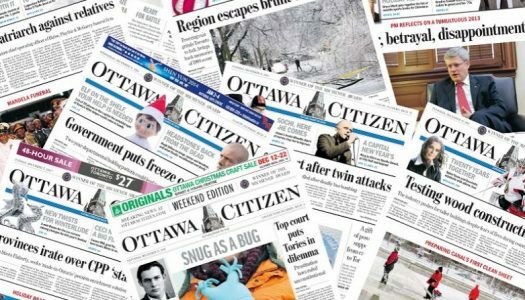 Montreal Newspaper Guild coordinating with Ottawa Newspaper Guild; potential for labour action at both newsrooms at the same time.